The Tampa area and more specifically the Hunters Green area has seen plenty of growth in recent years, and though this influx of people and business in the area has had a positive impact, it has also attracted more activity from wildlife like rats and other rodents. These invasive species like to take up residence in homes and offices, and preventing that is critical to the health and well-being of your home, business, and loved ones. Another reason for concern with rats is the speed at which they reproduce. A small number of rats can turn into an uncontrolled infestation in a short amount of time, increasing the chances for costly damage. Though there are numerous do-it-yourself rat trapping and removal options available, the most effective option will always be to call a professional wildlife control service like Critter Control® of Tampa. 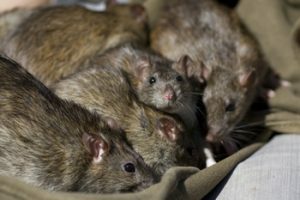 For decades, Critter Control has built a reputation as the premier wildlife removal service in many areas around the country, and our exclusive removal methods ensure that every last rat is out of your home or office for good. Additionally, our staff can clean up messes and repair damage caused by the infestation, leaving your home or office looking good as new. For more information about our rat removal services or to schedule a consultation, call us today at 813.948.0870.